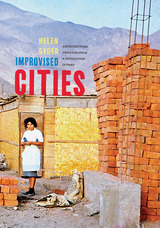 America’s most beguiling metropolis started out as a snake-infested, hurricane-battered swamp. Through intense imperial rivalries and ambitious settlers who risked their lives to succeed in colonial America, the site became a crossroads for the Atlantic world. Powell gives us the full sweep of the city’s history from its founding through statehood. We didn’t always eat the way we do today, or think and feel about eating as we now do. But we can trace the roots of our own eating culture back to the culinary world of early modern Europe, which invented cutlery, haute cuisine, the weight-loss diet, and much else besides. Aguecheek’s Beef, Belch’s Hiccup tells the story of how early modern Europeans put food into words and words into food, and created an experience all their own. Named after characters in Shakespeare’s Twelfth Night, this lively study draws on sources ranging from cookbooks to comic novels, and examines both the highest ideals of culinary culture and its most grotesque, ridiculous and pathetic expressions. Robert Appelbaum paints a vivid picture of a world in which food was many things—from a symbol of prestige and sociability to a cause for religious and economic struggle—but always represented the primacy of materiality in life. Peppered with illustrations and a handful of recipes, Aguecheek’s Beef, Belch’s Hiccup will appeal to anyone interested in early modern literature or the history of food. Katherine Grandjean shows that the English conquest of New England was not just a matter of consuming territory, of transforming woods into farms. 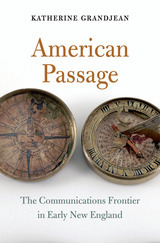 It entailed a struggle to control the flow of information—who could travel where, what news could be sent, over which routes winding through the woods along the early American communications frontier. The Indians of coastal Long Island were closely attuned to their maritime environment. They hunted sea mammals, fished in coastal waters, and harvested shellfish. To celebrate the deep-water spirits, they sacrificed the tail and fins of the most powerful and awesome denizen of their maritime world—the whale. These Native Americans were whalemen, integral to the origin and development of the first American whaling enterprise in the years 1650 to 1750. America’s Early Whalemen examines this early chapter of an iconic American historical experience. John A. Strong’s research draws on exhaustive sources, domestic and international, including little-known documents such as the whaling contracts of 340 Native American whalers, personal accounting books of whaling company owners, London customs records, estate inventories, and court records. 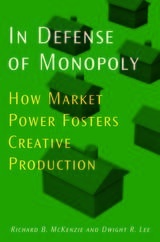 Strong addresses labor relations, the role of alcohol and debt, the patterns of cultural accommodations by Native Americans, and the emergence of corporate capitalism in colonial America. When Strong began teaching at Long Island University in 1964, he found little mention of the local Indigenous people in history books. The Shinnecocks and the neighboring tribes of Unkechaugs and Montauketts were treated as background figures for the celebratory narrative of the “heroic” English settlers. America’s Early Whalemen highlights the important contributions of Native peoples to colonial America. The 18th-century South was a true melting pot, bringing together colonists from England, France, Germany, Ireland, Switzerland, and other locations, in addition to African slaves—all of whom shared in the experiences of adapting to a new environment and interacting with American Indians. 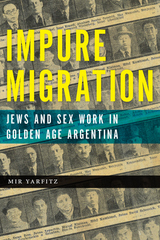 The shared process of immigration, adaptation, and creolization resulted in a rich and diverse historic mosaic of cultures. 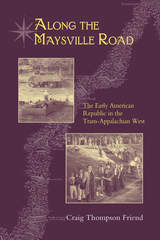 The cultural encounters of these groups of settlers would ultimately define the meaning of life in the 19th-century South. The much-studied plantation society of that era and the Confederacy that sprang from it have become the enduring identities of the South. A full understanding of southern history is not possible, however, without first understanding the intermingling and interactions of the region's 18th-century settlers. 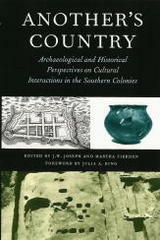 In the essays collected here, some of the South's leading historical archaeologists examine various aspects of the colonial experience, attempting to understand how cultural identity was expressed, why cultural diversity was eventually replaced by a common identity, and how the various cultures intermeshed. Written in accessible language, this book will be valuable to archaeologists and non-archaeologists alike. Cultural, architectural, and military historians, cultural anthropologists, geographers, genealogists, and others interested in the cultural legacy of the South will find much of value in this book. What happens if we abandon the assumption that a person is a discrete, world-making agent who acts on and creates place? This, Monique Allewaert contends, is precisely what occurred on eighteenth-century American plantations, where labor practices and ecological particularities threatened the literal and conceptual boundaries that separated persons from the natural world. 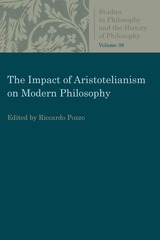 Integrating political philosophy and ecocriticism with literary analysis, Ariel’s Ecology explores the forms of personhood that developed out of New World plantations, from Georgia and Florida through Jamaica to Haiti and extending into colonial metropoles such as Philadelphia. 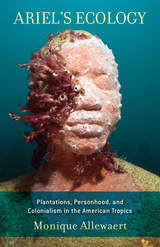 Allewaert’s examination of the writings of naturalists, novelists, and poets; the oral stories of Africans in the diaspora; and Afro-American fetish artifacts shows that persons in American plantation spaces were pulled into a web of environmental stresses, ranging from humidity to the demand for sugar. This in turn gave rise to modes of personhood explicitly attuned to human beings’ interrelation with nonhuman forces in a process we might call ecological.